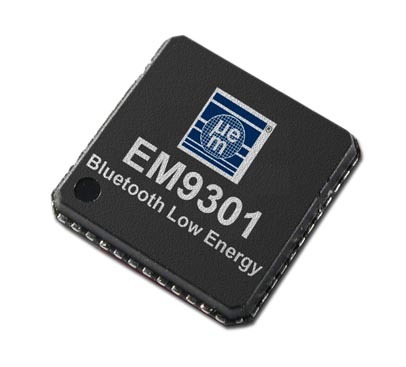 EM Microelectronic announces its Bluetooth smart-qualified controller, the EM9301. Optimized for ultra-low power wireless sensing, remote control and monitoring applications, the EM9301 operates on as little as 0.8V. It can be powered by a wide range of common single-cell batteries or energy harvesters such as solar cells, piezo-electric and electro-magnetic elements. The EM9301 is fully Bluetooth smart qualified for single-mode master and slave applications and combines the Physical layer, Link layer and Host Controller Interface (HCI) layer in one flexible chip. In receive mode, the requires only 16.5mA, while competing products consume up to 23mA. An integrated DC/DC converter powers the EM9301 RF circuitry while concurrently delivering up to 100mA to an external device (e.g. 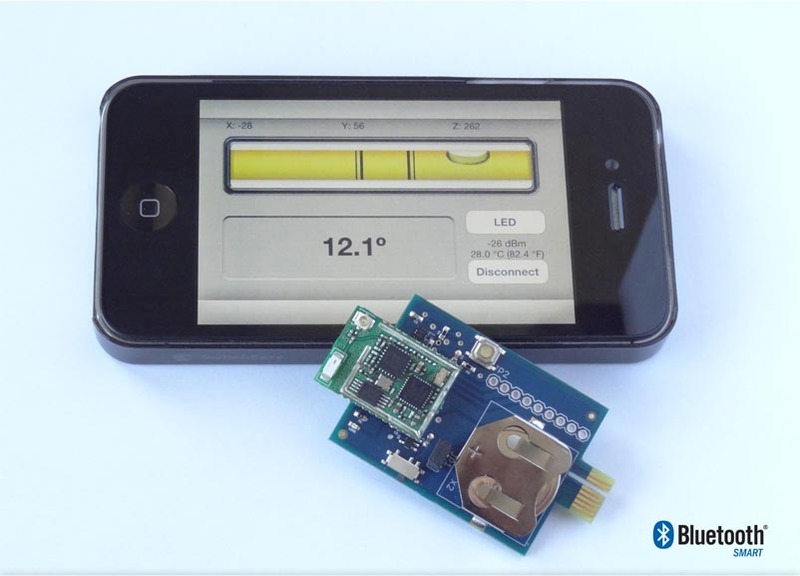 sensors, external microcontroller, LED indicators, or displays & driver circuits). RF output power is programmable from +4dBm to -20dBm in 6 steps. The system power budget can be further optimized by putting the EM9301 in SLEEP or IDLE mode, where it consumes less than 1µA. The overall bill of material and size can be reduced significantly by the proper design of a 200-ohm differential impedance PCB trace antenna, eliminating the need for matching, balun, and antenna components. The EM9301, when paired with a low-power host controller, comprises a cost/performance/size optimized solution for most Bluetooth smart applications such as wireless health and fitness monitoring, electronic leashes, and smartphone-based sensing and controls. The EM9301 is sampling now and is available in both die format and in a ROHS-compliant MLF-24 package. EM9301 device purchase includes a license-free Bluetooth smart stack for 8051, ARM® Cortex™-M0, or -M3 cores. The new ENSEMBLE Bluetooth low energy development kit allows users to write, download and test their own BLE applications on a small, easy to use, portable hardware platform. The ALPW-BLESDK80c51 Software Development Kit from Alpwise provides a compatible BLE stack for the EM9301, as well as many profiles, services, and example applications for the ENSEMBLE DVK. iOS applications for wirelessly connecting the EM9301 to an iPhone® 4S will be available on Apple's App Store soon.